It’s been four months since the last Hill Valley post, as my “day job” continues to interfere with my hobbies. 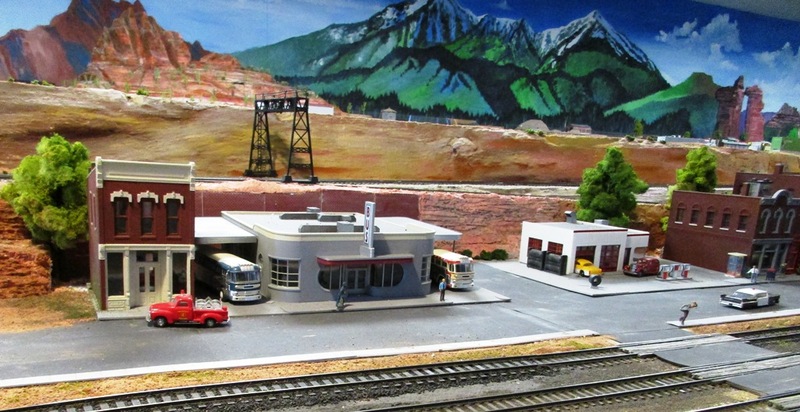 In fact, the Coconino County Fair has already passed, and in the final weeks leading up to the Fair the Club scenery experts worked tirelessly to install the completed structures, lay down roads and blend the scenery. Before we get to those photos, I wanted to talk about one more structure. As you may recall from the introductory posts describing this project, the goal of the Hill Valley makeover was to rework the existing HO town into a representation of Flagstaff, Arizona in the 1950s such that it created the illusion that the town actually was Flagstaff, when in fact it was just a clever representation. 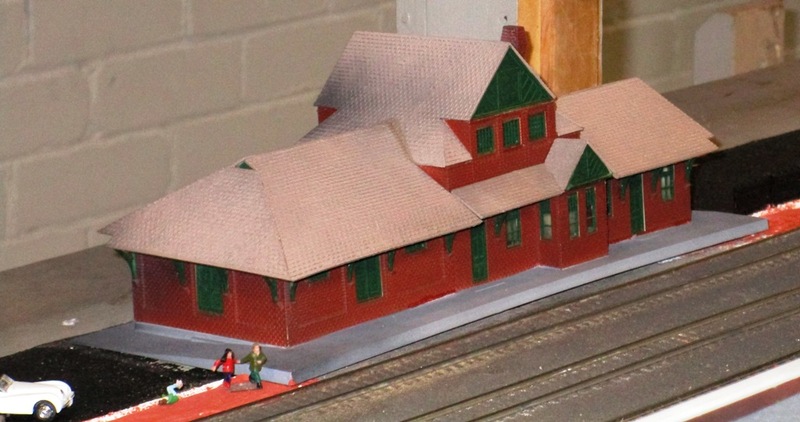 One of the key structures in achieving this illusion is the downtown passenger depot, originally constructed by ATSF between 1925 and 1926. 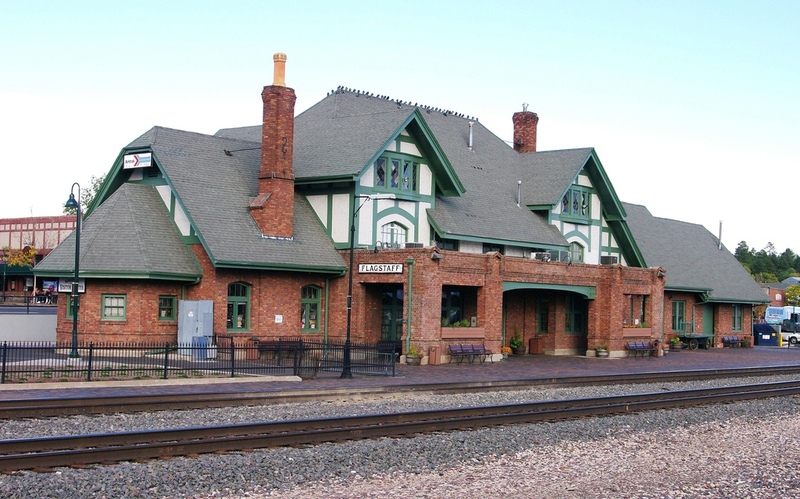 Architecturally, it is a unique example of a Tudor Revival brick building with cross-gabled roof; a design not found anywhere else in the ATSF system. Attempting to scratch-build this iconic structure would take many months, and having already spent that amount of time on the overall project it was decided instead to find a model that would invoke the flavor of the deport without actually replicating it. One of our Club members had an old Life-Like kit that he had found at a swap meet. It needed refurbishing and paint, but he immediately saw its potential as the perfect stand-in. Well I’ve talked quite enough during this project. At this point I’ll let photos of the final installation tell the remainder of the story. I hope you enjoyed following along, even if it did take much longer than first anticipated! I hope you’ll come visit us at the Club and see the new Hill Valley for yourself, as well as numerous other fantastic scenes on our layout. Thanks again! – Phil S.